Mary Frances Berry of Colorado passed peacefully of natural causes in her home on November 22nd, 2018. Mary was born July 15,1948 in Ellsworth, Kansas the daughter of Duane and Vivian Urban. A Celebration of Life will be held at 10:30 am CT on Wednesday, December 5th at Lucas United Methodist Church, 322 N Main St, Lucas, KS 67648 followed by lunch at the Church. Mary married George at McConnell Air Force Base in Wichita Kansas. Mary was beloved by George as the most wonderful person a part of his life for over fifty years. During George’s military service, together they pursued Bachelor degrees at Wichita State University. Later Mary also pursued her passion and received a Masters of Education at Colorado University. Fate and other considerations brought them to Parker, Colorado in 1974. As many young couples, they struggled to make a living but were able to find a home in Elizabeth, Colorado and made the most of what they had. Mary was blessed with a son Michael, and his wife, Julie along with two beautiful granddaughters of Colorado. She was also blessed with a daughter Jennifer, and her husband Eric of Colorado. She was a devoted mother raising them and she never wasted a moment to share how much she loved them. Mary Frances was known as a kind, honest, sincere, and caring person and would give you not only her attention, but as the cliche states: "the shirt off her back". Those that knew her adored her and she was devoted to her faith. Mary Frances struggled with a health illness later in her adult life. She, along with her family, endured. Most recently Mary was in a really peaceful place in her faith and in life enjoying several family visits in Kansas and significant time with her immediate family in Colorado. 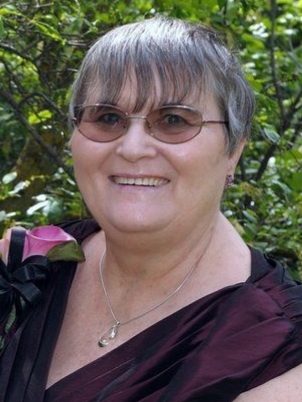 Along with her immediate family of Colorado, survivors include her mother, Vivian Urban; 4 sisters, Lavaughn, Mildred, Jo Ann and Carol Jean; 3 brothers, Duane, David and Richard along with several close nieces, nephews, and cousins. She is and will be missed. We love you! Mary had a heart for giving back whether through her faith, education, children's organizations or for homelessness in America. A memorial gift in Mary's honor to a charity that serves any of these would be greatly appreciated by her family. The family also recognizes those who wish to send flowers and can do so to either the Lucas United Methodist Church or through Ponderosa Valley Funeral Services in Colorado.